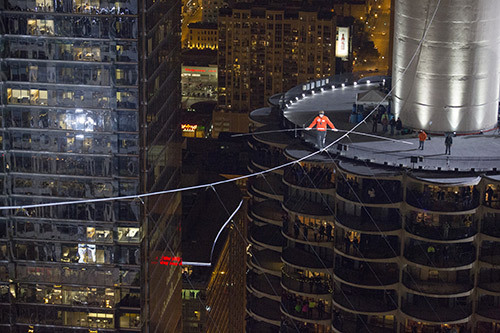 The famous and talanted acrobat Nik Wallenda successfully completed a two-part walk between two Chicago skyscrapers on Sunday night, taking on a 19-degree incline for the first stage of the walk, and wearing a blindfold during the second part. And van you believe it – was completed without a safety belts or net. Wallenda, who now holds nine Guinness World Records, crossed both parts of the first challenge, navigating a blindfolded walk and a 19-degree incline, using only a pole for balance. It took Nik six minutes and 52 seconds to complete the first stage 500ft (152m) above the ground – in winds that were gusting at up to 25mph (40km/h. A camera attached to Wallenda revealed just how high his walk was. Nikolas “Nik” Wallenda (born January 24, 1979) is an American acrobat, aerialist, daredevil, high wire artist, and author. Wallenda is a seventh-generation member of The Flying Wallendas family of aerialists. 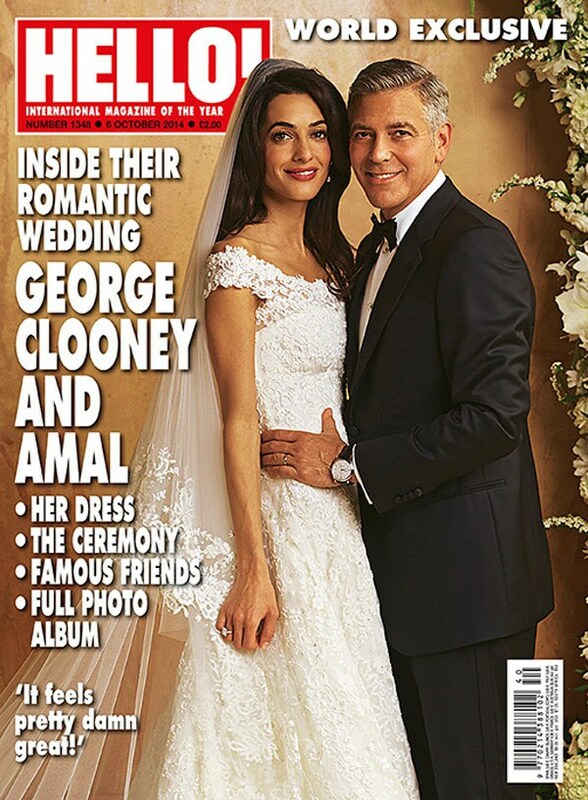 One of the hottest celebrity events lately – George Clooney and Amal Alamuddin wedding. Magical love story with a beautiful happy end: sophisticated romantic wedding in Venice! A flotilla of water taxis on the Grand Canal, a ceremony in a 16th-century palazzo: George Clooney and Amal Alamuddin pulled off a picture-perfect wedding in Venice, Italy. But their road to Venice has been marked with many romantic milestones around the world, with stops everywhere from the White House to Tanzania to Clooney’s beloved Lake Como. 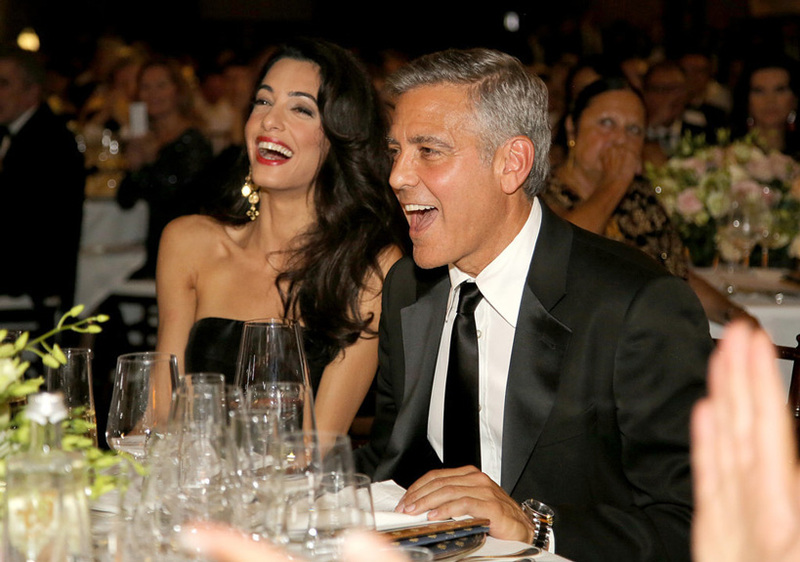 The two kept a low profile until after Valentine’s Day, when Alamuddin joined Clooney for a special White House screening on Feb. 18 of his film The Monuments Men. The couple held hands at the event, which President Obama attended. Later, the duo joined Clooney’s costars Matt Damon and Bill Murray at Willard Hotel’s Round Robin & Scotch Bar, where, an onlooker told PEOPLE, they were stuck like glue. Then it was vacation time again: In March, they first spent some beach time in the Seychelles, then jetted to Tanzania for a short, but sweet, four-day safari. 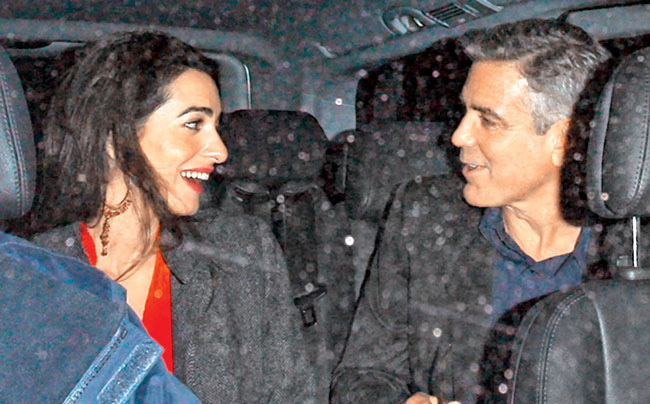 Clooney was photographed with his arm around Alamuddin – finally confirming the two were a romantic item. Days later, the couple landed in N.Y.C., where they stayed at Manhattan’s Carlyle Hotel and dined at French restaurant Rotisserie Georgette with Gerber and another of Clooney’s Casamigos business partners, real estate developer Mike Meldman. In March, they turned up on the West Coast at another dinner table with friends. This time, they feasted on Japanese cuisine with Clooney’s friends John Krasinski and wife Emily Blunt at Kazu Sushi in Studio City, California. Almost a month later, they were ready to show off their big news. On April 23, they were spotted at L.A. restaurant Craig’s with friends, and Alamuddin wearing a huge ring, and the following night they met up with Gerber and Crawford to celebrate the engagement at Nobu in Malibu, California. “They want the people they love to know that this is real, that they plan on being together forever”. So romantic! 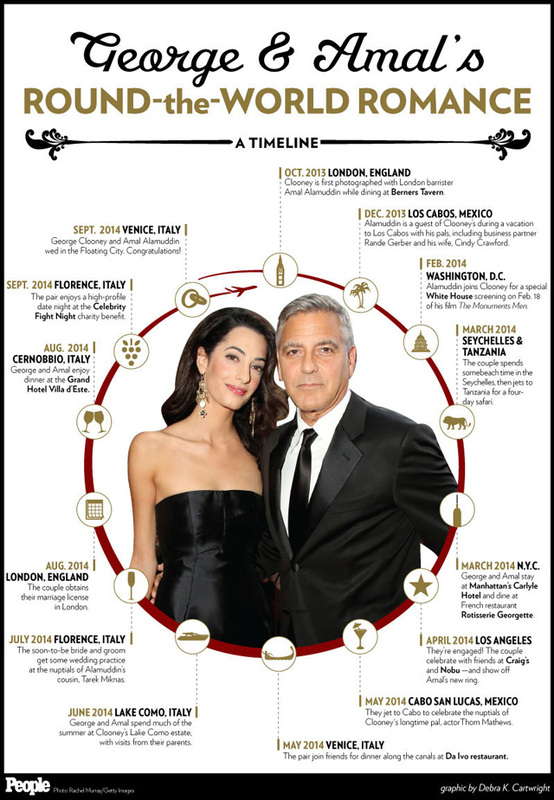 With their own wedding planning underway, the couple jetted to Cabo San Lucas, Mexico, to celebrate the nuptials of Clooney’s longtime pal, actor Thom Mathews. Next stop? Venice – foreshadowing alert! – where the pair joined friends in the Floating City at Da Ivo restaurant, departing by motorboat in classic Venetian style. The pair then spent much of the summer in Italy at Clooney’s Lake Como estate, often making it a family affair with visits from Alamuddin’s mother, Baria, and Clooney’s parents, Nick and Nina. Then in July the soon-to-be bride and groom got some more wedding practice at the nuptials of Alamuddin’s cousin, Bahrain-based businessman Tarke Miknas. Alamuddin pulled double duty, officiating the ceremony at a 15th-century villa in Florence, Italy. By the time the couple obtained their marriage license – listing the wedding’s location as Italy – in London in early August, it was clear their own wedding was fast approaching. Following another PDA-packed dinner near Lake Como, the couple enjoyed a high-profile date night at the Sept. 7 Celebrity Fight Night charity benefit in Tuscany, Italy, where Clooney shared the news that the wedding would unfold in Venice. Of course, the big question now is: Where in the world will they honeymoon? Even if something is left undone, everyone must take time to sit still and watch the leaves turn. Every leaf speaks bliss to me, fluttering from the autumn. 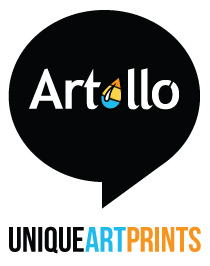 The 71st Venice Film Festival is directed by Alberto Barbera and organized by the Biennale, chaired byPaolo Baratta. The world premiere of Birdman or The Unexpected Virtue of Ignorance will be screened in competition on August 27th in the Sala Grande of the Palazzo del Cinema at the Lido, following the opening ceremony hosted by Luisa Ranieri. The film is a black comedy that tells the story of an actor (Michael Keaton) – famous for portraying an iconic superhero – as he struggles to mount a Broadway play. In the days leading up to opening night, he battles his ego and attempts to recover his family, his career, and himself. The screenplay is written by Alejandro G. Iñárritu, Nicolás Giacobone, Alexander Dinelaris Jr. and Armando Bo. 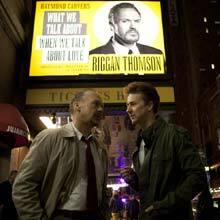 The producers are Alejandro G. Iñárritu, John Lesher, Arnon Milchan and James W. Skotchdopole. The credits also include Director of Photography Emmanuel Lubezki (Gravity, The Tree of Life, Children of Men), production designer Kevin Thompson (The Bourne Legacy, Michael Clayton) and music composed by Antonio Sanchez. Black walls are very current now, a big trend. A lot of people shy away from them because of their dark reputation. But depending on how you do it, black is always chic and elegant, it makes impact. Also it is neutral and goes with everything. 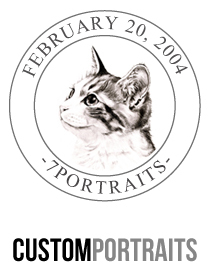 Start small – built –in shelves in the bathroom, fireplace surrounds, door casing are good places to start with. 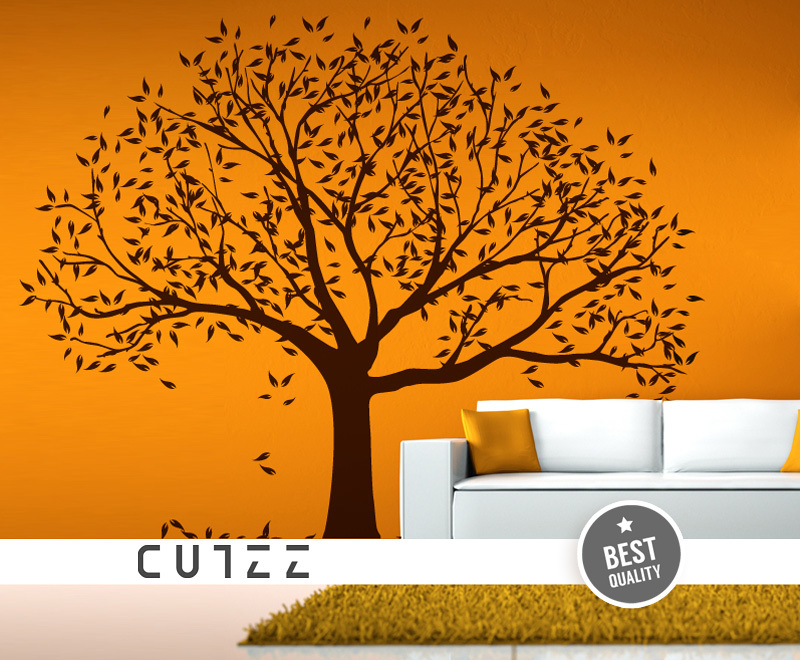 If it goes well with your interior, paint a wall! 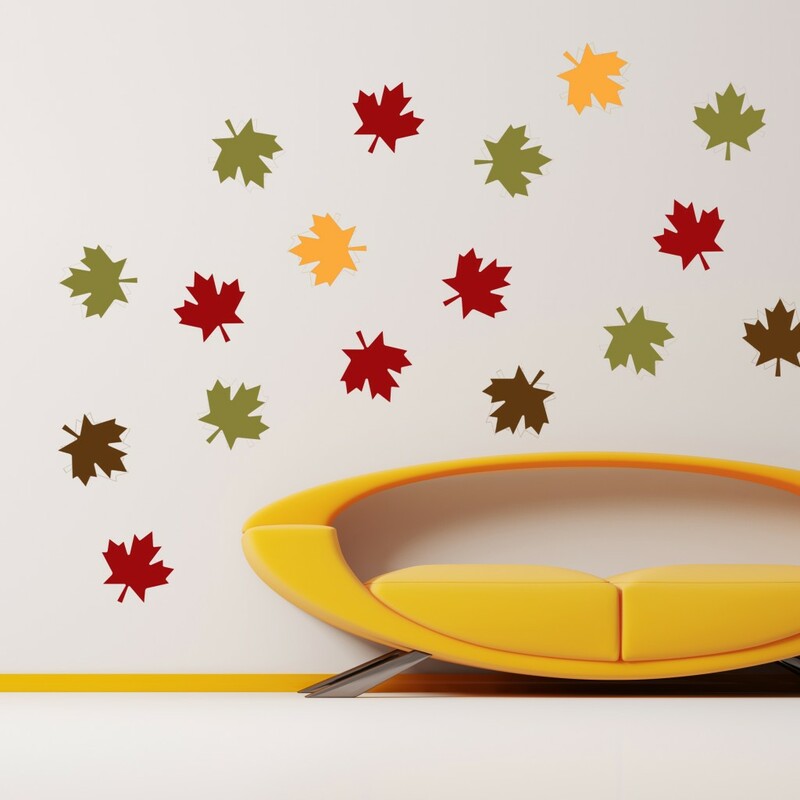 Use pattern and texture – graphic pattern, vintage floral or geometric, it will make the flat black wall very elegant. Pick the right light and accessories – black color absorb light, so the right lighting is very important: pendant lights with mini bulbs or opulent vintage chandeliers. 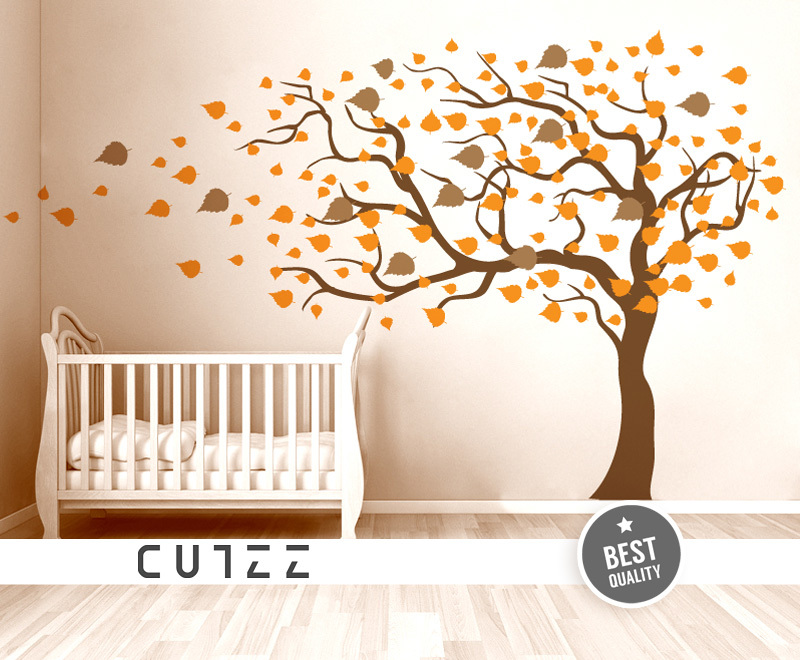 The perfect accessory for you black wall could be a framed family photo or one of our stylish Wall Decals. 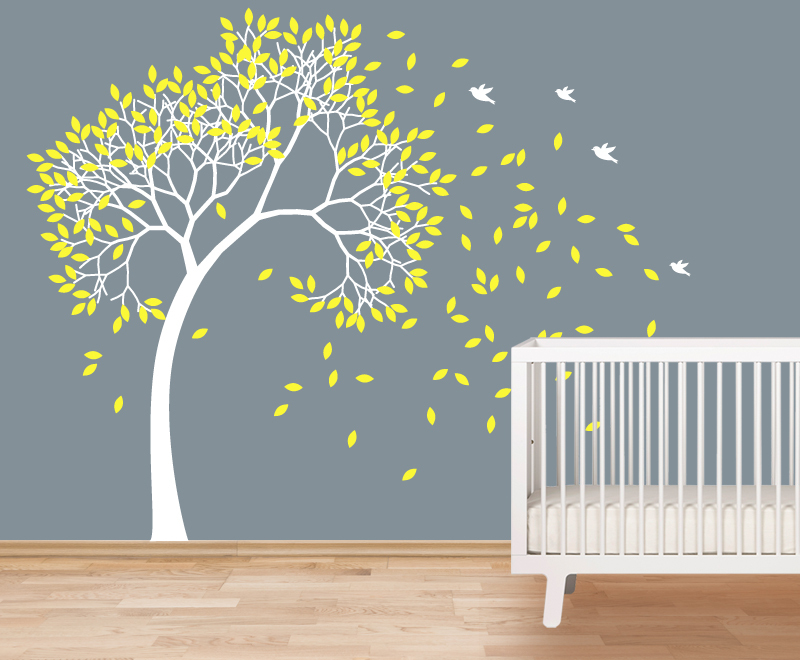 Choose monochrome decal for more sophisticated effect or combination of tender pastel colors. 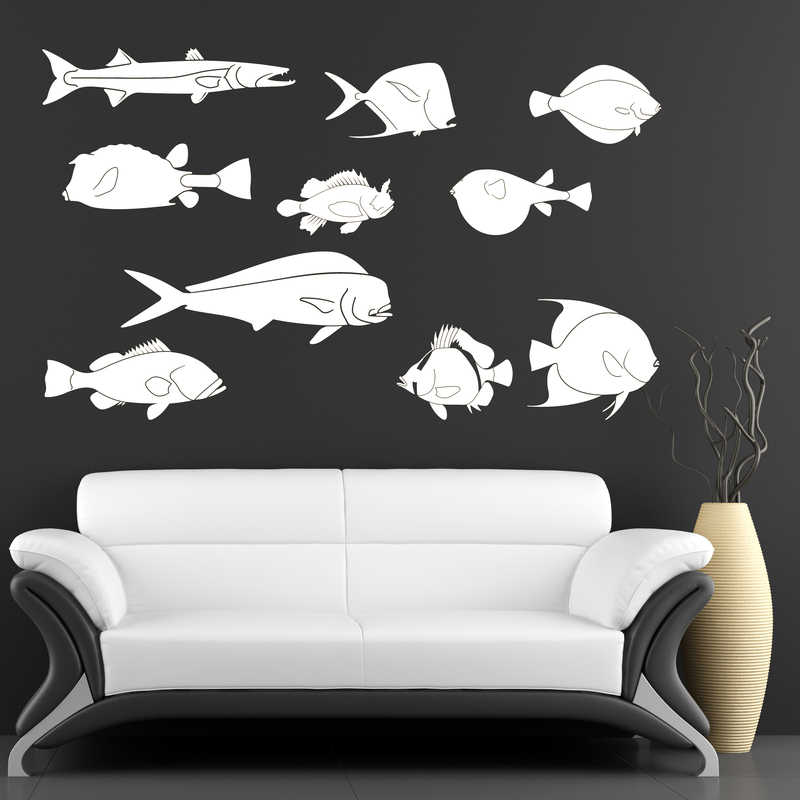 Our Wall Decals are easy to install, non reusable and will not damage your wall surface.